Saliba, M. Ciangura, C. Farrugia, M. Formosa, O. Calleja, L. Meilak, L. Farrugia, M. Peres Vega, A. Buttigieg, E. Xuereb (P. Spiteri), J. Azopardi. Sammut, J. Azzopardi, E. Buttigieg, J. Attard, J. Xerri (G. Grech), F. Cini, S. Azzopardi (M. Zammit), O. Mercieca (K. Grima), O. Saliba, S. Curmi, L.C. Carvalho Da Silva. 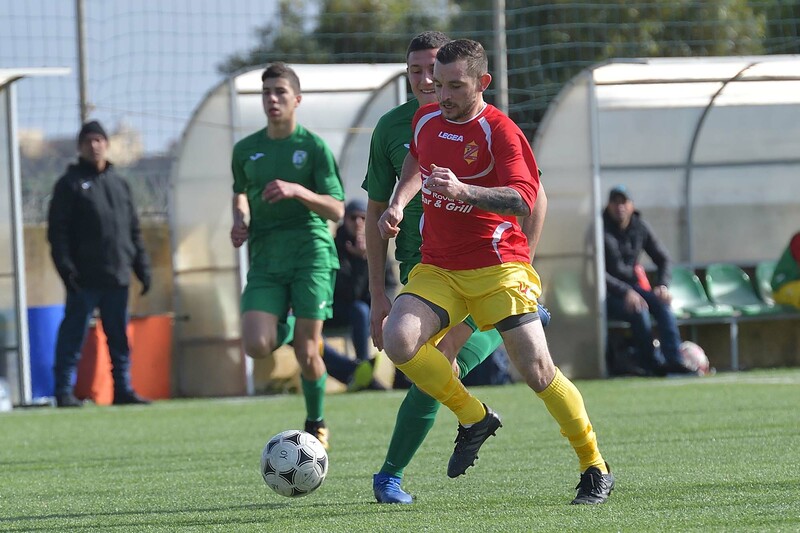 Zebbug Rovers earned three points from a 3-2 win over Oratory Youths and with these points they moved closer to the second place from the bottom of the table and therefore re-opened their chances to avoid the last place on the table at the end of the campaign. 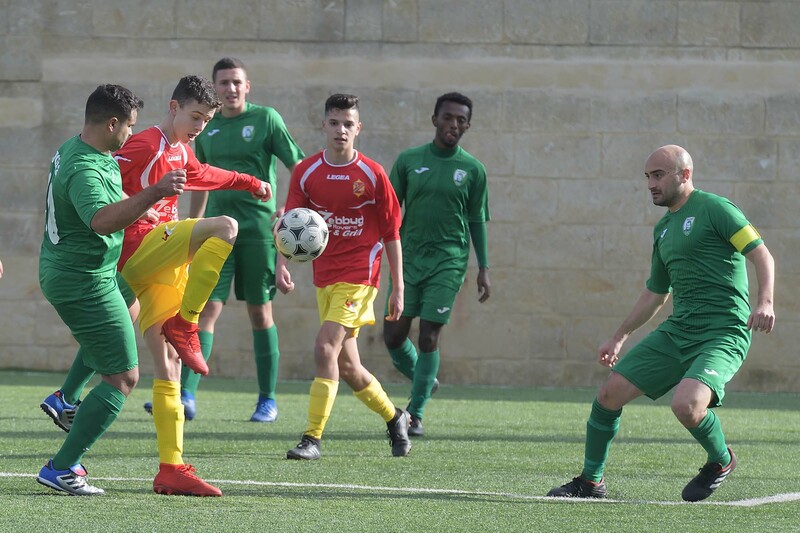 The Youths were favourites to win this match as they already defeated Zebbug in the matches between the two sides of the previous two round, but they seemed in a position to earn points in an attempt to take the third spot on the table. 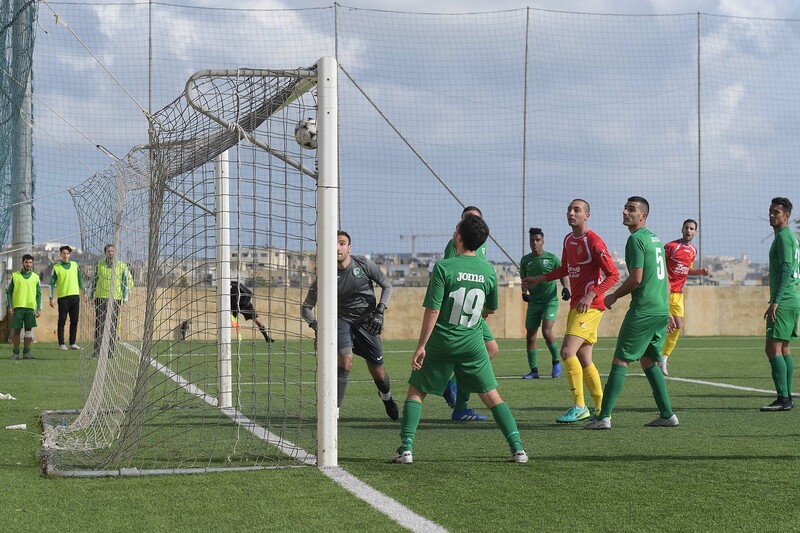 The match was quite balanced where Zebbug managed to share play and also capitalised from the best scoring opportunities, including two penalty kicks and also played the last twenty minutes of the encounter with an extra player on the field. On the other hand Oratory were forced to Oratory however struggled to recover the deficit on two occasions and were often erratic in their finishing and were not in a position to save the result during the final stages with a player less on the field. The Youths seemed in a better shape during the opening minutes and on 6 minutes they could have opened the score but a shot from an unmarked position by Claudio Carvalho Da Silva, following a cross by Francesco Cini, was well blocked by goalie Baskal Saliba. 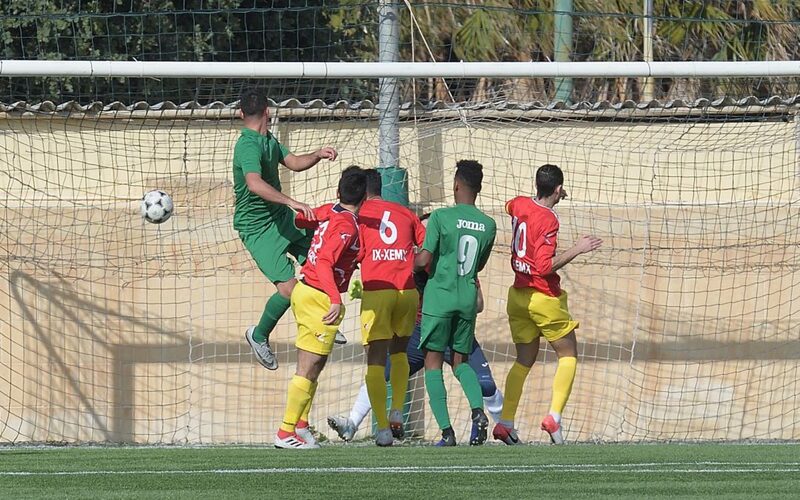 Zebbug’s first serious attempt at goal arrived on 22 minutes through a free kick by Elijah Xuereb that was neutralised by goalie Richard Sammut. One minute later the same goalie left his position in time to take the ball before Zebbug’s striker Elijah Xuereb could hit towards goal. Zebbug capitalised form the good moment and opened the score on 26 minutes through a header by Marcos Peres Vega following a corner kick by Marco Ciangura. Oratory’s reaction arrive don 37 minutes through a shot by Carvalho Da Silva following a personal action that ended on the side of the net. 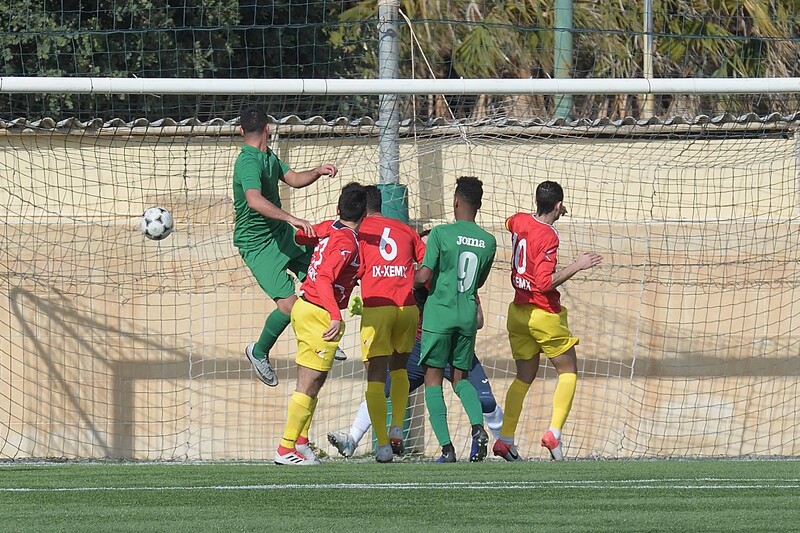 Three minutes later Zebbug were again dangerous but a header by Marcos Peres Vega following a cross by Marco Ciagura was saved to a corner with difficulty by goalie Richard Sammut. From the resultant corner action Elijah Xuereb’s attempt from an ideal position was stopped by the crossbar and the defence cleared the danger form the rebound. 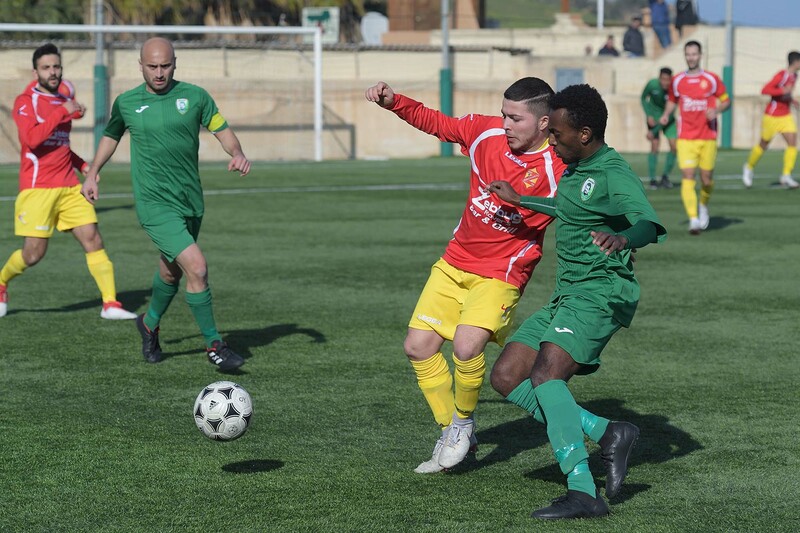 Oratory levelled the score on 45 minutes when Luis Claudio Carvalho Da Silva defended a ball inside Zebbug’s area despite the pressure form three defenders and fired in goal fro0m close distance. However, Zebbug regained the lead in the third minute of stoppage time before the break when the referee awarded a penalty for a foul by Joseph Attard on Marcos Peres Vega and the latter converted from the spot. Play became more interesting after the break as the two sides were aiming to score another goal. On 52 minutes Zebbug’s goalie Baskal Saliba was called to make a difficult save to block a free kick by Oratory’s Francesco Cini. The Youths levelled the score for the second time on 53 minutes through a fine header by Emanuel Buttigieg following a free kick by Justin Azzopardi. Zebbug increased their efforts and produced a strong reaction. On 57 minutes Zebbug went very close to regain the lead but a strike by Elijah Xuereb from an ideal position wended wide. Four minutes later Zebbug went again close to scoring through a shot on the run by Luke Meilak that also missed the target and on 67 minutes Zebbug were awarded a penalty for a foul by goalie Richard Sammut on Luke Meilak who was about to conclude towards an open goal. The referee showed the red card to Oratory’s keeper and when the forced substitution was completed Marcos Peres Vega netted his shot from the spot kick and made it 3-2 for his side. Oratory’s reaction was sterile but on 72 minutes they were unlucky when a strike by Claudio Carvalho following a deflection from a free kick was stopped by the crossbar with the goalkeeper beaten. Minutes later Oratory’s substitute Kersten Grima had a low drive from a good position aimed to the far post that ended just wide and in the first minute of stoppage time Zebbug could have sealed the win with a fourth goal but Elijah Xuereb incredibly concluded wide from close distance after he was unmarked in the area by Luca Farrugia.